My favorites are “Eaten by a Snake” and “Strangled by a Sunflower”. Offensive? Somebody is taking themselves way too seriously, IMHO. My favorites: Sue-icide and Sue being cut in half by a rotary cutter! So many good ones, it’ s hard to choose. I think I saw this quilt once at Paducah or Houston. 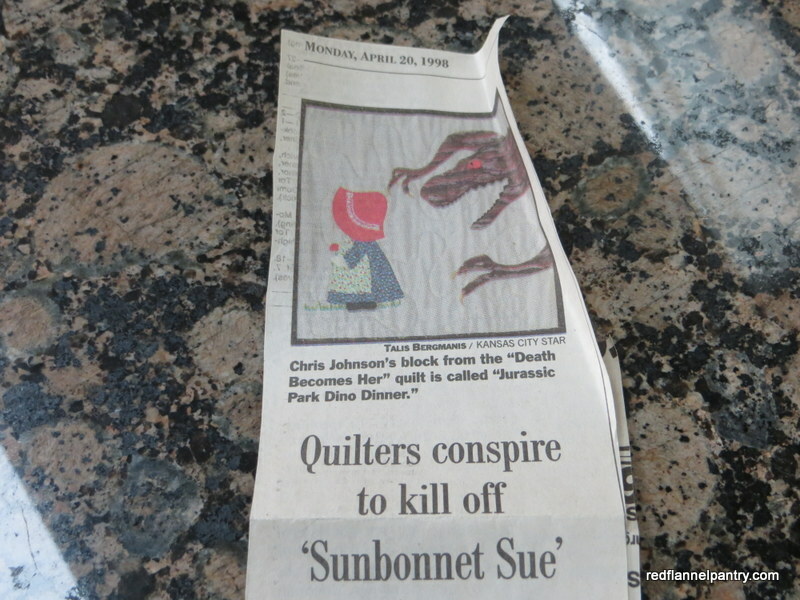 You absolutely made my day with the Sunbonnet Sue quilts!! What a lot of fun those quilters must’ve had! 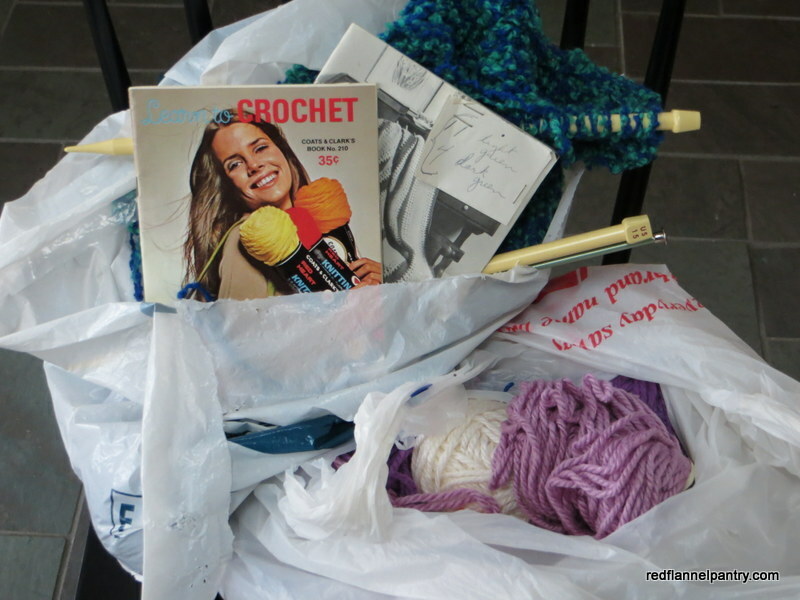 And the advice to accept items from loved ones who need to downsize is great–gentle and considerate. What a great fun fact! Haha interesting read for sure and that quilt is just too funny! It shows that quilters, like all good artists, can shake things up. Kathy Nida’s work (which is amazing btw) would have made those judges apoplectic! I’m reading back posts of yours (now that I have a little bit of free time) and found this one thoroughly enjoyable. I guess the PC Police have invaded the quilt world, too! How violent can any of these be if they are depicted in cloth and needlework, after all? Too funny!